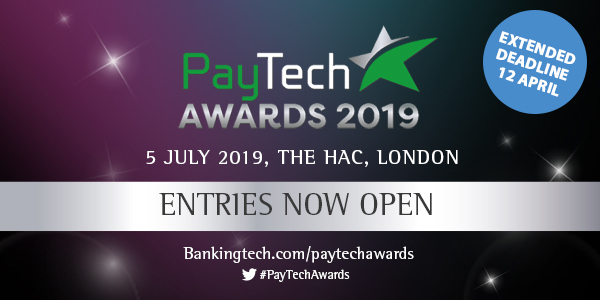 PayTech Awards 2019 will be taking place on 5 July in London, where we’ll be celebrating the most successful and innovative projects and professionals in the global paytech industry. Entry deadline is Friday, 12 April! Enter here. Find out more about PayTech Awards judges here. For more information about the Awards, please get in touch with David on david.taylor@knect365.com or call +44 (0) 207 01 75379. Interested in sponsorship opportunities or attending the event? Please contact Jon on jon.robson@knect365.com or call +44 (0) 203 377 3327.